Surrounding the photo of MAAM's Neptune are the unit patches of the Patrol Squadrons in which our P2V-7 Bu#145915 served. 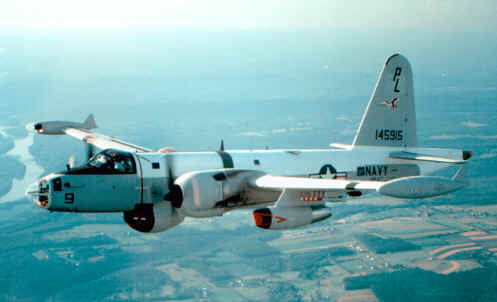 The Lockheed P2V "Neptune" is unique in that it is the only American naval land-based patrol plane ever designed expressly for this purpose. 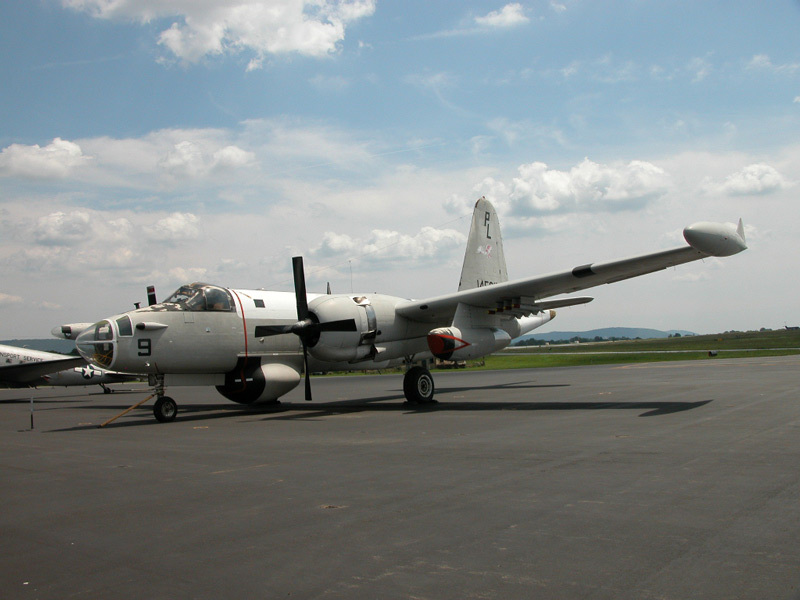 Both the "Neptune's" predecessor, the PV2 "Harpoon", and successor, the P3 "Orion", were first built by Lockheed as transports... the PV2 as the "Lodestar", and the P3 as the "Electra". 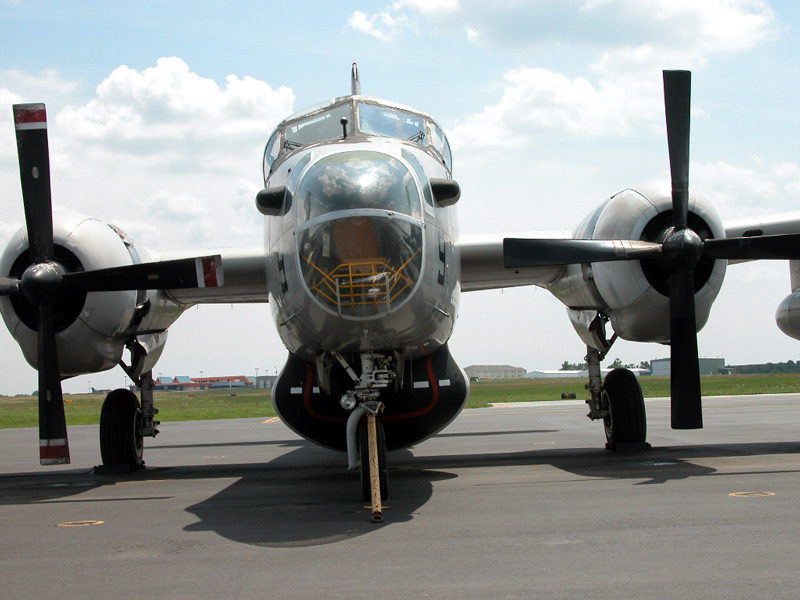 The P2V was also the last US military aircraft to feature the Emerson ball turret, which was installed for a time in the aircraft nose, and was the last radial engine powered bomber accepted for delivery by the US. From May 12, 1945 to the end of its production run in 1962, 1,036 "Neptune's" were produced in seven major variants, with the US Navy receiving the vast majority. The "Neptune's" versatility is evident from the many missions this aircraft was called on to perform... it truly set the standard for modern patrol aircraft. In early 1941, Lockheed Aircraft's Vega division began design work on a twin-engined bomber. It was felt that the aircraft, utilizing the then new Wright R-3350 Cyclone engine, would be able to carry a larger bomb load for longer distances than existing four-engined heavy bombers like the B-17 "Flying Fortress" and B-24 "Liberator". The resulting aircraft design, designated "model 26", was a large, mid-wing bomber, accommodating a crew of seven. 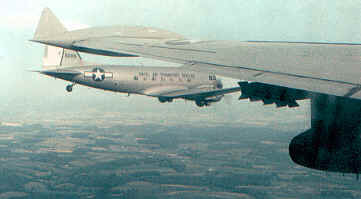 Because it was a relatively low wartime priority, (at the time even longer range and heavier bomb loads were being planned for), the "model 26" project's R-3350 engines were diverted to another project, the Boeing B-29 "Superfortress". Development of the "model 26" prototype was renewed as the war progressed, however, with fifteen aircraft ordered by the Navy in April of 1944. The XP2V-1 "Neptune", as it was designated, was finally flown for the first time toward the end of the war on May 17, 1945, shortly after the German surrender. Assuming its patrol duties with the US Navy shortly after the Second World War, "Neptune's" saw their first combat use during the Korean Conflict. There they were used in ground attack, mine laying, day and night bombing and rocket attack and as armored combat transports as well. They became the "Cold War" patrol aircraft along both American coasts, were active in the Cuban missile crisis, and participated in the American space program as well. 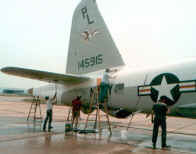 During the Viet Nam war P2's were involved with electronic warfare and, as night and all-weather interdiction aircraft. 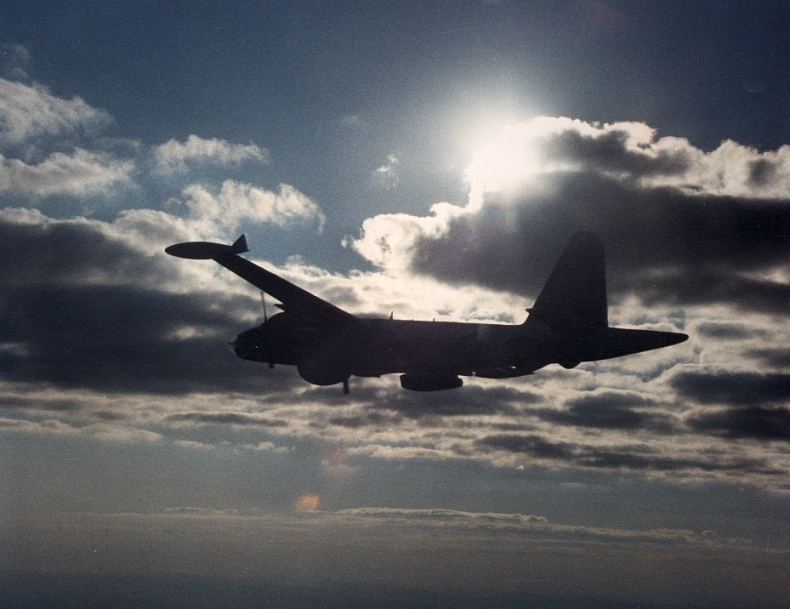 The OP-2E version flown by VO-67 dropped sensors along the Ho Chi Minh trail and other supply routes to detect enemy troop and vehicle movement, and even the Army flew them as an attack variant, the AP2E. 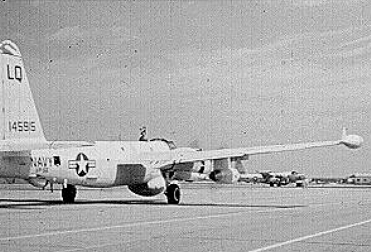 The most famous "Neptune" was, without a doubt, a P2V-1, the "Truculent Turtle", which, from September 29th through October 1st, 1947, flew non-stop, without refueling, from Perth, Australia, to Columbus, Ohio, a world-record setting distance of 11,235 miles. This piston engine powered record stood almost forty years, until Burt Rutan's "Voyager" circled the globe non-stop in December of 1986. A more typical "Neptune" mission lasted ten hours, with a crew of ten. 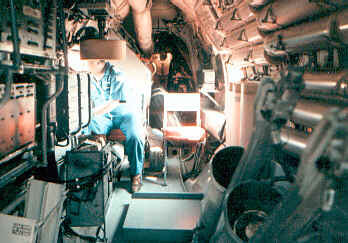 Because of the long mission capabilities, the P2's were equipped with a small galley and an electric stove. 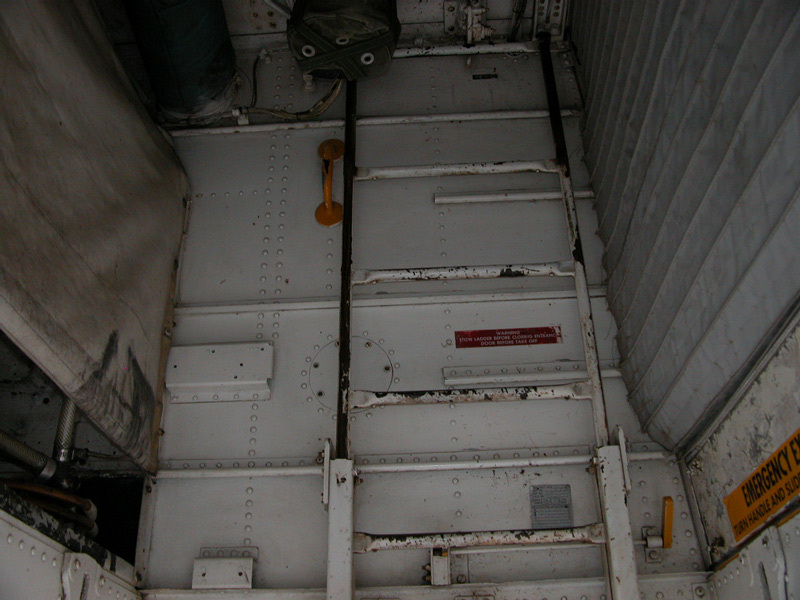 The only bunk, however, was soon removed to make way for additional electronics gear, with the floor or wing being the only place to stretch out. 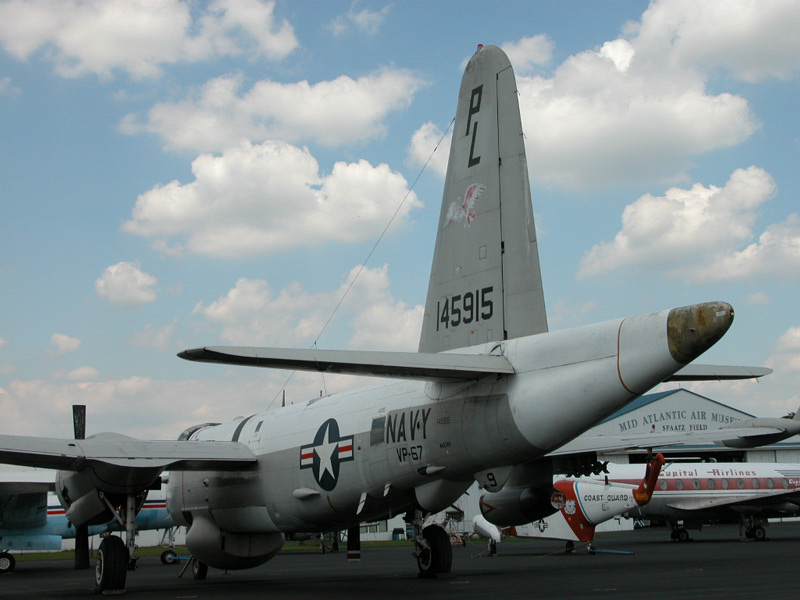 The P2V-7 model, the type acquired and now operated by the Mid-Atlantic Air Museum, was first flown in 1954. Re-designated SP-2H, OP-2E, and AP-2H after 1962, "Neptune"s continued to serve through the Viet Nam war and until the mid 1970's. 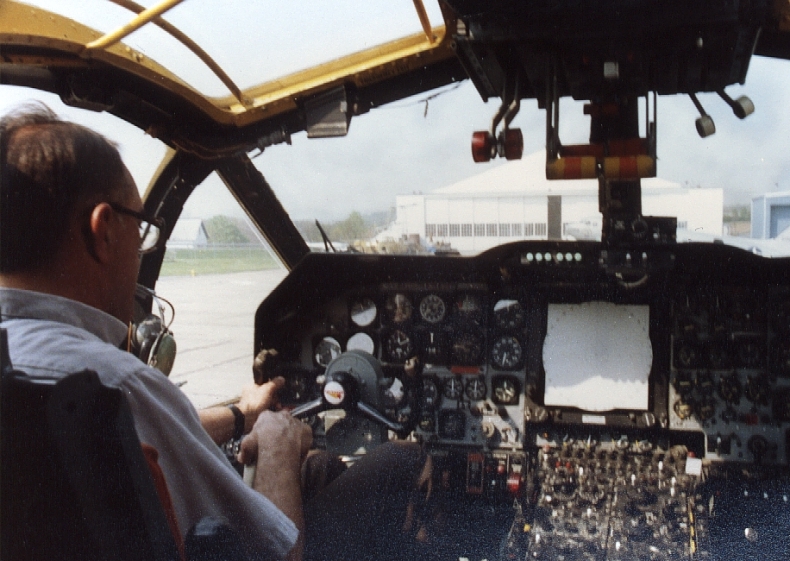 By that time, however, the P3 "Orion" had replaced the P2 in all service but with reserve units. 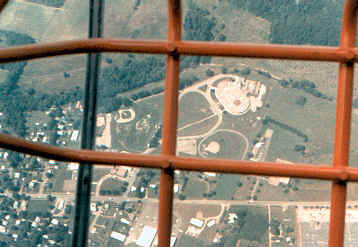 Most found their way to Davis Monthan Air Force Base, in Arizona, where they were placed in storage. As with many of the aircraft with a relatively long production run, the original P2 design saw a great many changes from model to model. 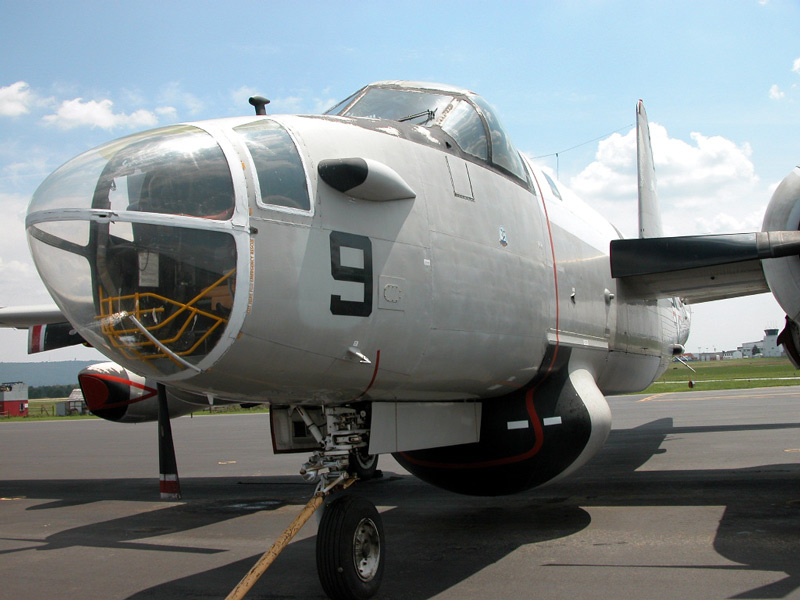 Successive "Neptune" models gradually removed armament in favor of more anti-submarine electronics, but all models kept the large weapons bay included in the design of the first "Neptune" model, the P2V-1. 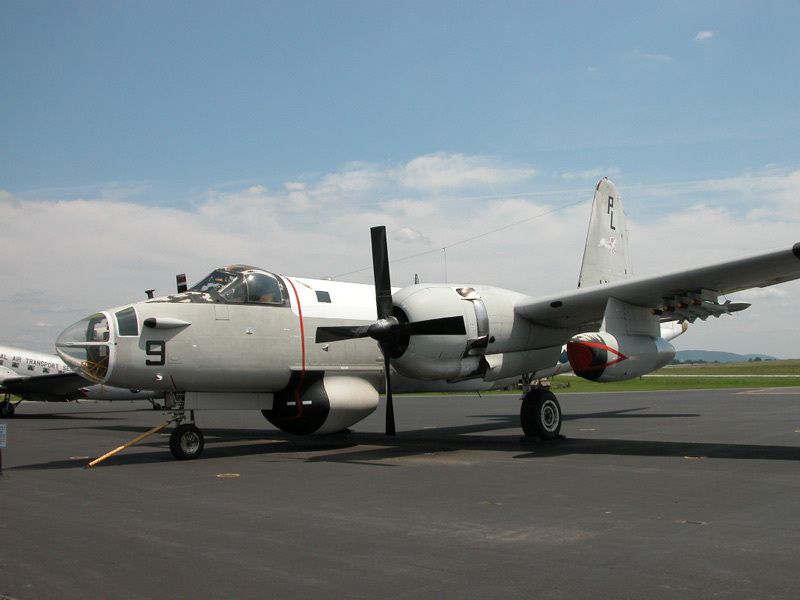 In additional armament, the P2V-1 carried three pairs of 12.7 mm machine guns and mountings for up to sixteen under-wing rockets. 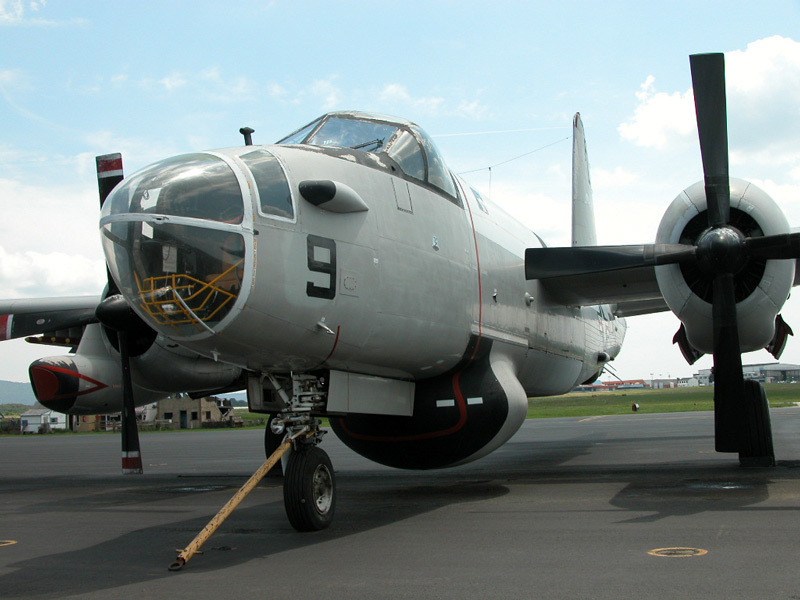 The P2V-2 model added up to eight 20mm cannons in the nose, tail, and dorsal position. 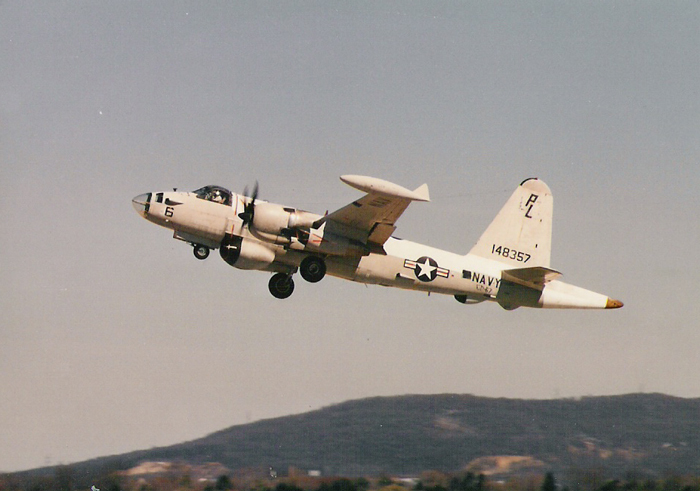 The P2V-3 began the trend of eliminating armament in place of more electronics, by adding APS-20 radar and the characteristic belly radome. 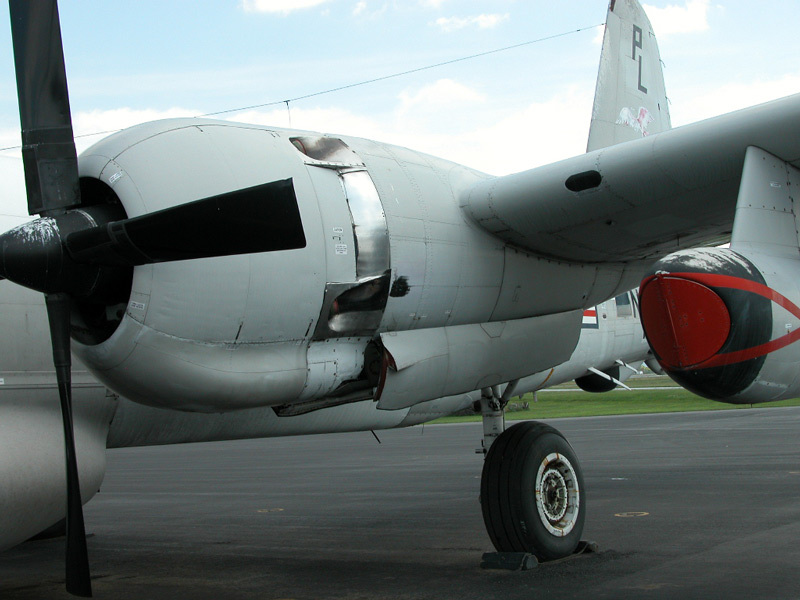 The P2V-4 introduced the turbo-compound engine and auxiliary wingtip fuel tanks. 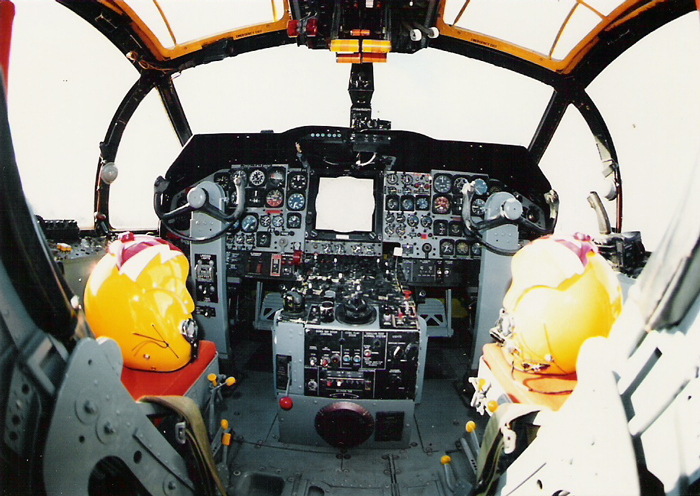 Increasing weight (Including the addition of Jezebel underwater detection equipment) caused many of the P2V-5 models to include the retrofit of Westinghouse J 34 jets to improve takeoff, and to add maneuvering speed during combat. (This model was designated the P2V-5F). 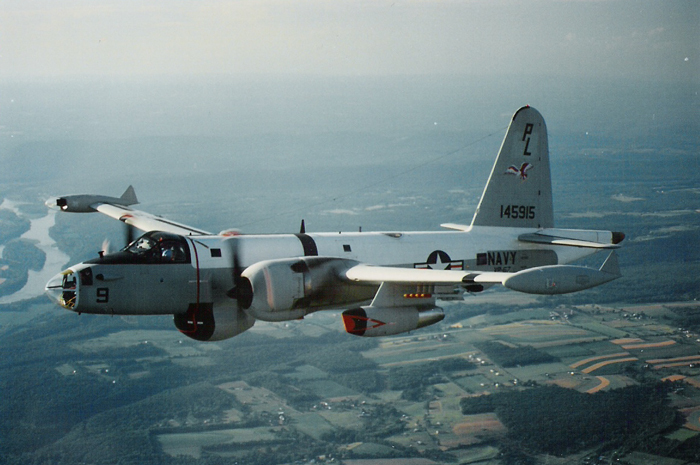 The addition of the MAD stinger, first on the P2V-5, and the deletion of guns as the subs went nuclear, brought the "Neptune" to its final major configuration, the P2V-7, which was flown first on April 26, 1954. This last model was to remain in service for more than 20 years. 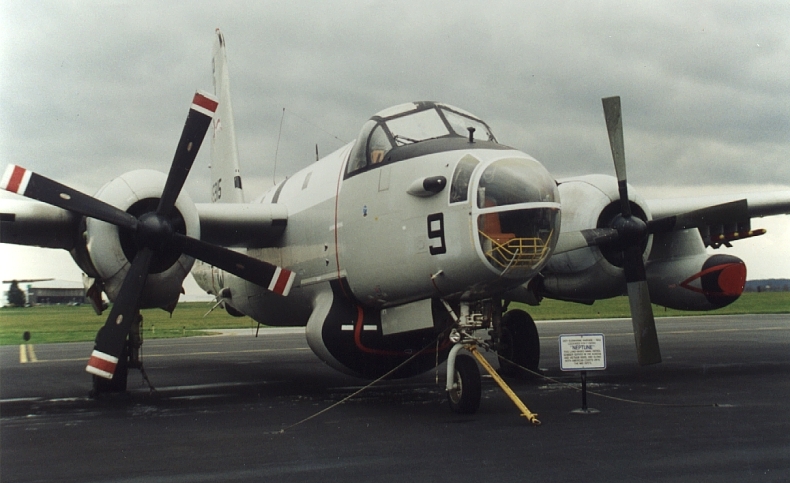 P2V "Neptune's" were operated by the US Navy, Army and Air Force, as well as Argentina, Australia, Brazil, Canada, France, the Netherlands, Portugal, and the United Kingdom. In addition, the Japanese defense force utilized the design, produced under license by Kawasaki, with turboprop power plants. 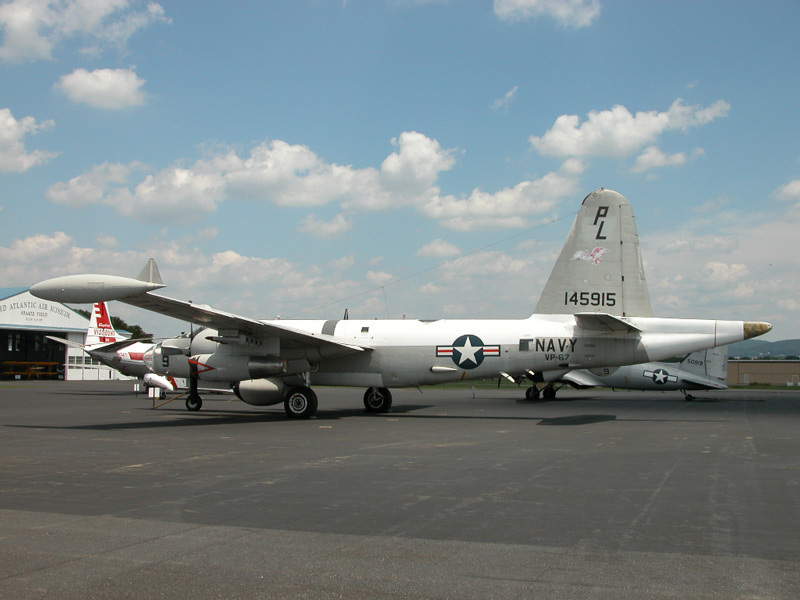 Despite the "Neptune's" long service history, and significant role in aviation and in our nation's defense, very few of these unique aircraft have been preserved in museums. The Naval Museum in Pensacola does have on display both the "Truculent Turtle" and a P2V-7 model as well. An AP2H exists on display at the Pima Air Museum in Tucson. 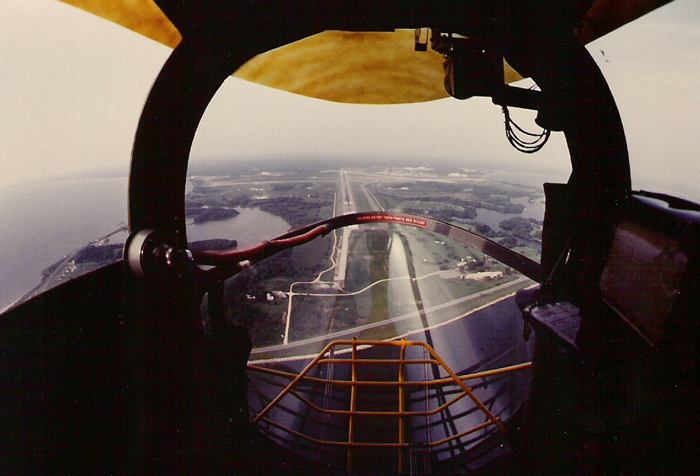 A few more remain as gate guardians at Naval Air Stations, including NAS Brunswick, and NAS Jacksonville. Operational "Neptunes" are even more difficult to find. 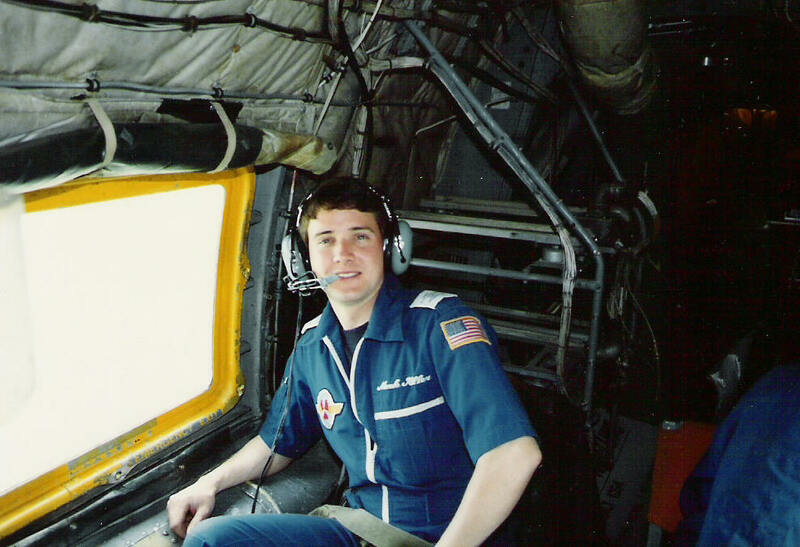 Several have found service as fire bombers in the western United States. At this time, restored operating examples can also be found in the Netherlands and in Australia. 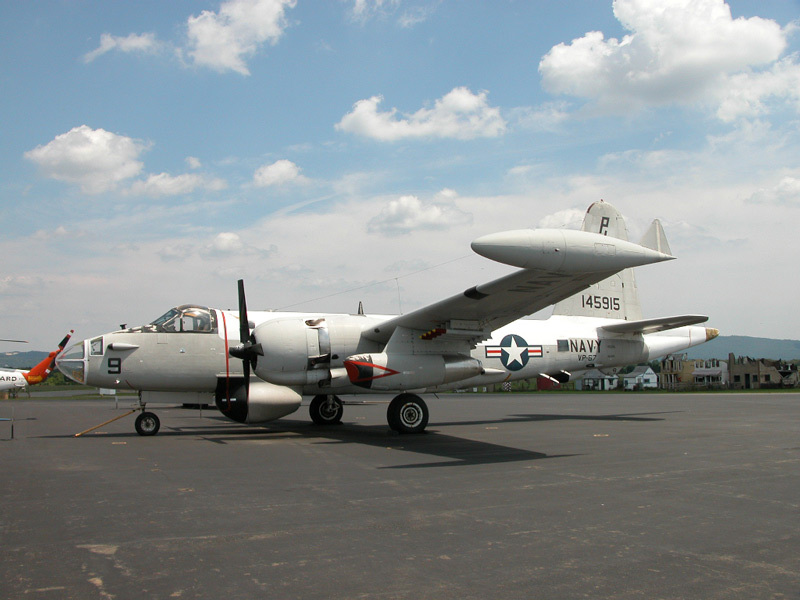 In the United States, a few other P2V-7's have been operated for a time by museums, but not consistently. 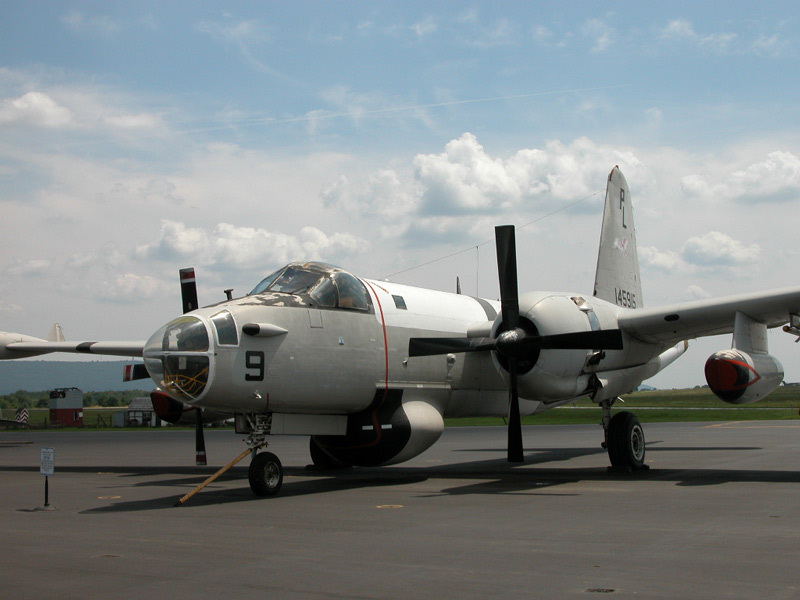 The Mid-Atlantic Air Museum has operated its P2V-7, flying to airshows to display the aircraft, for more than ten years. The aircraft is an "ongoing restoration", each year becoming more authentic with the addition of new equipment. 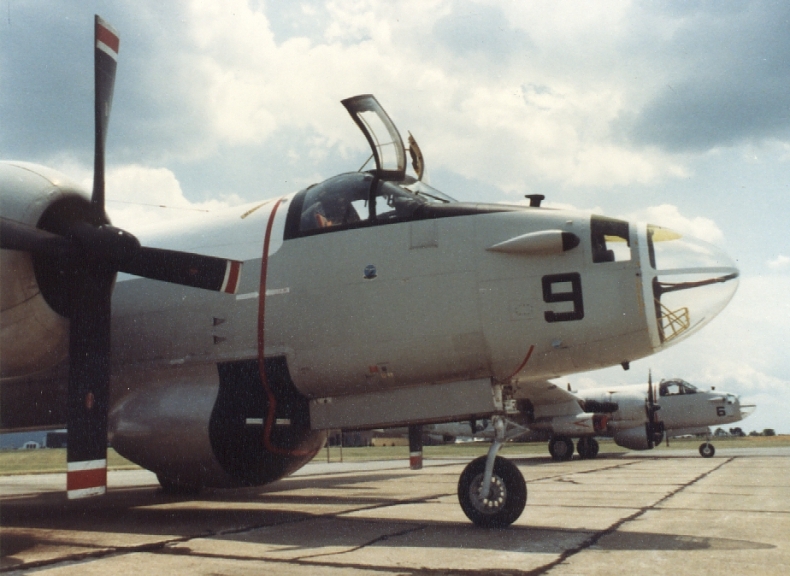 The Museum acquired two P2V's through the Federal Surplus Property program during the fall of 1983. BU NO 145915 filled the following assignments during its time with the US Navy: VP 21 and VP-23, NAS Brunswick, VP-92 NAS South Weymouth, VP-94 NAS New Orleans, VP-56 NAS Norfolk, and VP-67 NAS Memphis. 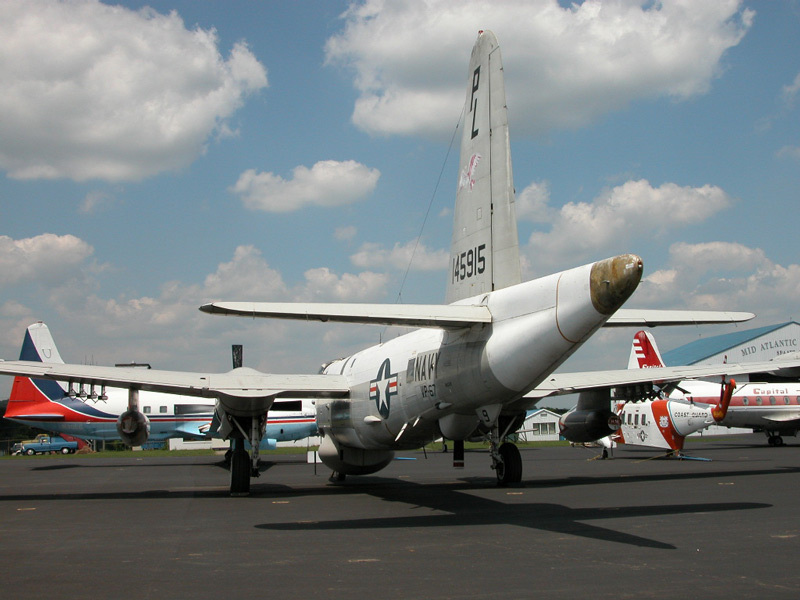 It served actively during the Cuban missile crisis in 1962, with VP-24. In storage for several years at Davis Monthan Air Force Base, covered with preservatives and desert dust, the Museum's "Neptune" was a dismal sight as it greeted a work party of Museum volunteers. 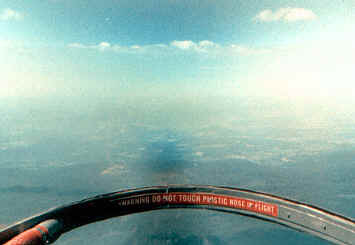 Over a week's time they removed animal nests, installed instruments and avionics, and made the aircraft flight-worthy. A two day return trip to the Museum's home in Pennsylvania was achieved without incident. (The crew chose not to use the heaters in the aircraft, in order to not risk problems, which made for an extremely cold wintertime return trip!) Museum volunteers set to work immediately cleaning up the aircraft and beginning the restoration process. 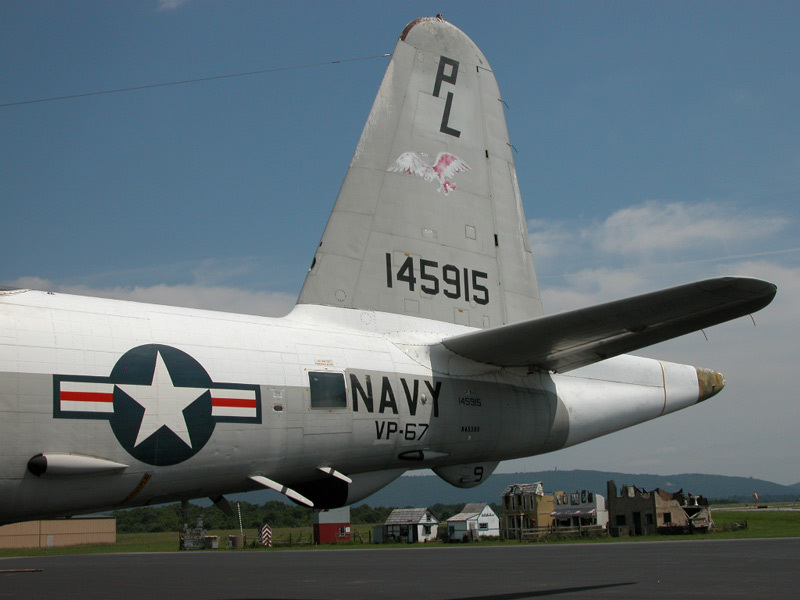 As a "flying" museum, part of the mission of the Mid-Atlantic Air Museum is not only to restore, but also operate classic aircraft like the P2V. 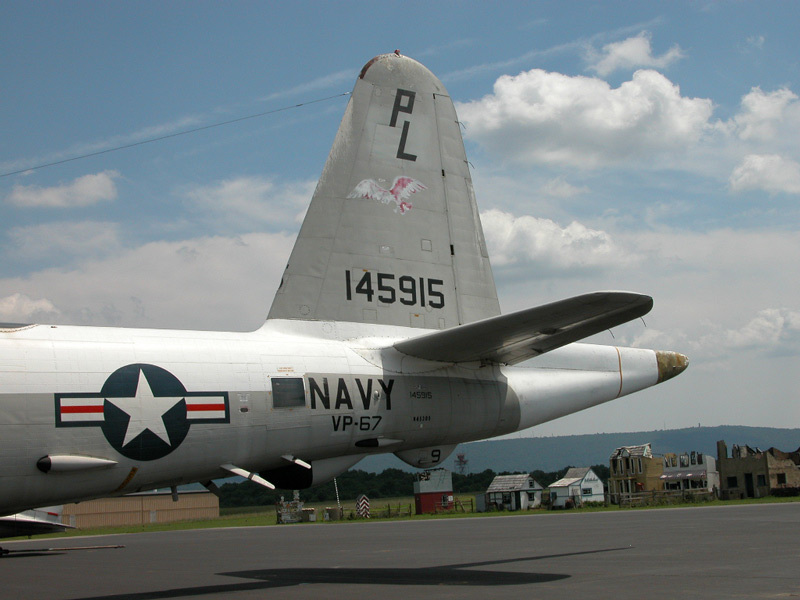 The "Neptune" travels to five or six airshows each year, where it performs fly-bys for the crowd and is also opened for tours to the general public. Thousands of people each year have the experience of touring the P2 from the bow observer station to the MAD stinger. 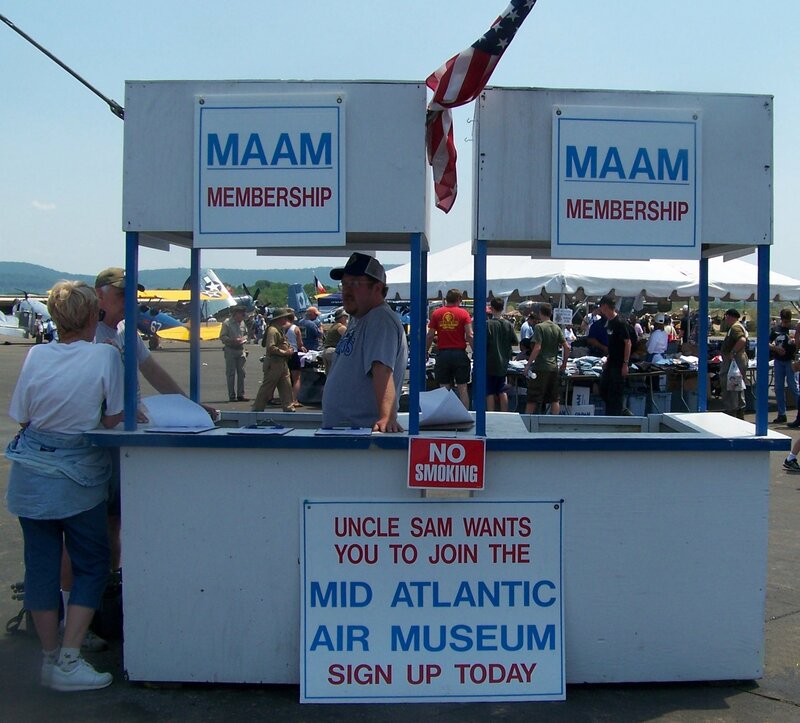 Most air show visitors have little knowledge about the aircraft and its mission. Museum volunteers "man" many of the crew positions, helping to explain the functions of the crew members and use of the equipment on board. 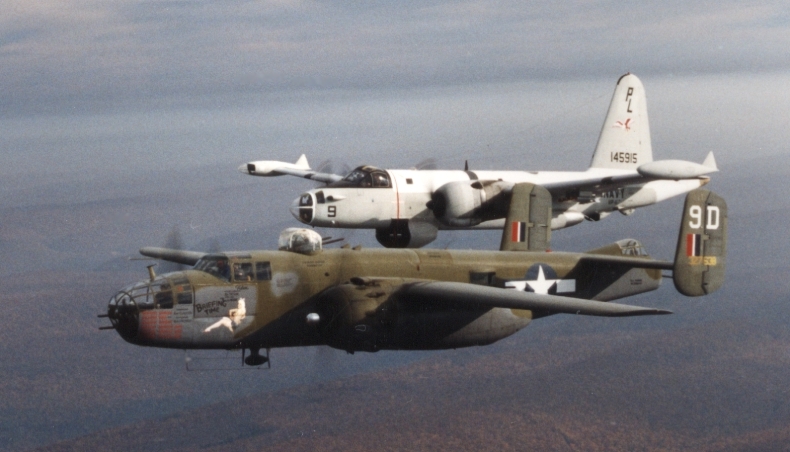 They share the history of the aircraft that, for many years, was the major airborne defense system for the US coasts. Visitors are always amazed at the lack of creature comforts and cramped space, are impressed with the galley, and enjoy climbing over the wing as a part of their tour. Museum volunteers have also benefited from the tours, learning a great deal about the "Neptune" from those who flew aboard them. From the time the aircraft flew to its first airshow, ex-"Neptune" crewmen have been drawn to the aircraft. They climb aboard to reminisce, to show family members the aircraft that they spent so much time serving aboard. 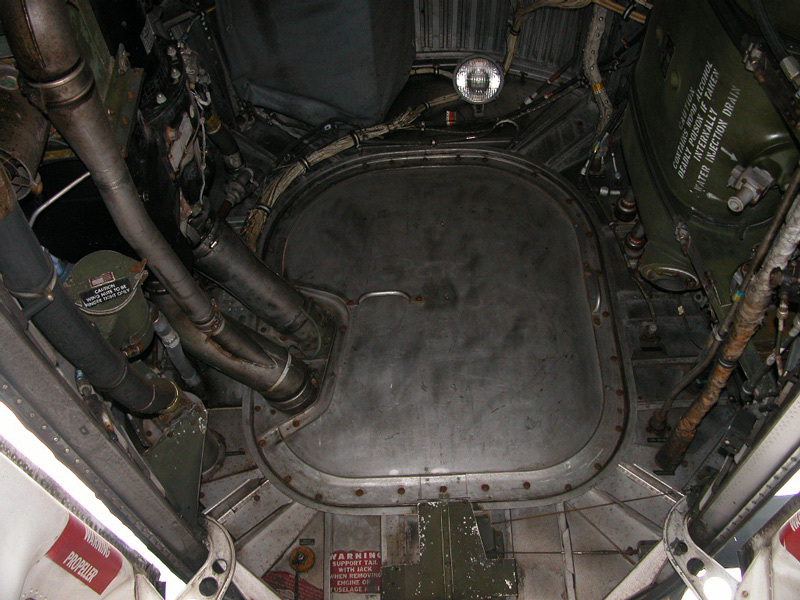 Reserve squadrons have provided much of the now outdated electronics equipment which has been installed on the aircraft, and provided uniforms, manuals, and photographs for the museum collection, as well. Just as fascinating have been the hundreds of stories collected from ex-P2 crewmen concerning their eventful and not-so-eventful missions. Everything from combat experiences and engine out performance to pranks played on new crew members has been recounted. MAAM's "Neptune" restoration is now complete with sonobuoy, radar and electronic equipment, operational bomb bay and searchlight. In 1985 at the Experimental Aircraft Association Convention at Oshkosh, Wisconsin the Museum's BUNO 145915 was awarded the 'Best Restored Bomber' title. Armament: Up to 12,000 Lbs. of bombs, torpedoes, depth charges, mines, or rockets. We shall be adding new interior photos and features, in time. Please stop back again.